Dr. David Bass is the inventor and developer of the Antalgic-Trak® treatment system. The project began in the year 2000. We were granted our FDA-Clearance in 2005 and we released our first Antalgic-Trak System 2006. "The older equipment was too basic and unable to treat complicated spinal conditions. We needed equipment that could better target and treat the disc." This was the stimulus that motivated Dr. Bass to create what is now considered... the state-of-the-art system for treating the spine and disc injuries without surgery." Dr. Bass is the president and founding partner (with co-founder Dr. Scott Denny), of Spinetronics. Spinetronics manufactures the Antalgic-Trak. 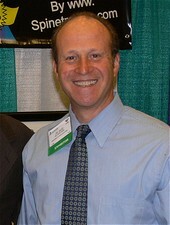 Dr. Bass is also the founder of the NECK & BACK INTITUTE OF CORAL SPRINGS. A treatment and training facility that is centered around the Antalgic-Trak. The Neck Back Pain Institute treats patients with a variety of spinal challenges. It is also the official training facility for doctors around the world who are seeking certification in the procedures and protocols of the Antalgic-Trak and its proprietary technique called KDM therapy or Kinetic Decompression Mobilization. Dr. Bass completed his Doctorate of Chiropractic in 1978 and began his professional practice in 1979. His New York clinic grew to become one of the largest “solo” practitioner clinics in the Northeast United States treating between 275 and 325 patients per week. In addition to private practice, from 1995 through 2001, Dr. Bass expanded his practice boundaries into the area of integrative medicine by combining the expertise of medical physicians, chiropractors, acupuncturists and physical therapists into a group practice model. 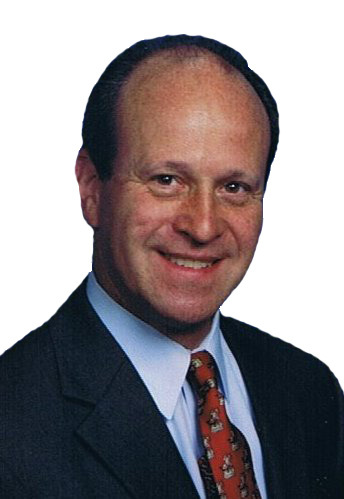 Dr. Bass created, administered and managed 24 successful multi-discipline clinics throughout New York State and Long Island. In 1997, Dr. Bass completed a Master of Science degree in Acupuncture from the New Center College of Holistic Medicine. He had the distinct honor of graduating 2nd in his class and was further honored by receiving the “Award for Clinical Excellence.” This distinguished honor is awarded to the one graduating student who demonstrates above average patient treatment and protocols. Dr. Bass is a Board Certified Acupuncture Physician and received his board certification from the National Certification Commission for Acupuncture and Oriental Medicine. After graduating from the New Center College of Holistic Medicine, Dr. Bass became faculty at the New Center College for 2 years teaching students details of acupuncture practice development, protocols, procedures, ethics and management. These combined clinical experiences enabled Dr. Bass to become acutely familiar with power traction and decompression therapy. In his opinion, these therapies were one-dimensional and overly limited in their capabilities. In 1999, Dr. Bass decided to evolve power-traction decompression into the state-of-the-art-therapy now known as the Antalgic-Trak®. Working with a select group of engineers and health providers, Dr. Bass along with his colleague and project co-developer Dr. Scott Denny, created a range of motion decompression treatment technique they call Kinetic Decompression-Mobilization or (KDM). KDM can only be performed using the Antalgic-Trak®. “I have always practiced using state-of-the-art equipment. I believe that the quality of your equipment enables you to clinically grow and reach an improved treatment potential. Antalgic-Trak® offers our patients a superior therapeutic instrument with features found nowhere else. It provides the practitioner the unique opportunity to become clinically superior in the field of pain management and range of motion spinal decompression." Practitioners now have an improved and more precise instrument to deliver precise traction forces into the spine to remove pain, restore ROM and heal the disc. Dr. Bass currently lectures and demonstrates Antalgic-Trak techniques around the world.